Here’s the scenario. You’re relaxing in at home, in one of the fine apartments for rent in CA. Spring is approaching, and you’re starting to notice that your living space is much less green than what might be considered appropriate for the season. In fact, there’s not much of any natural color around your apartment. So, what should you do? The answer, it turns out, is simple: you just need to find some spring-themed flora to decorate your rooms. 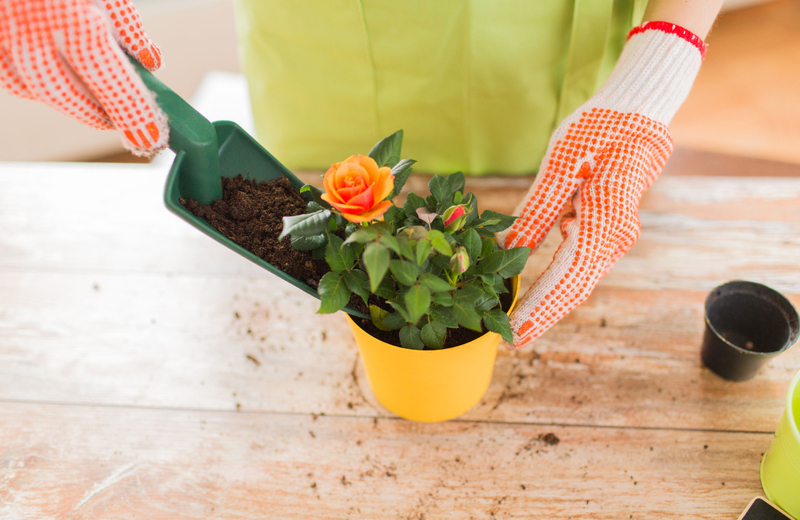 Now, if you’ve got a green thumb already, you’ve probably got a good idea of what sorts of plants and flowers will look good. If not, though, no need to worry, because today, we’re going to be providing a hearty dose of inspiration to get you started. First thing you’ll need to do is track down the right plants to put in your new, spring-inspired green apartment. Here are some recommendations, courtesy of HGTV. These perennial flowers from the Ranunculaceae family are almost synonymous with the spring season (right behind cherry blossoms, in fact). According to Savvy Gardening, you’ll need medium light levels to grow your hellebores right (not too bright and not too dark). They’re hardy plants overall, but you should be wary of green aphids that might want to lay waste to their petals. Of the many Hellebore varieties, the “Rosemary” style hellebores are among the most rare and beautiful. You might already know of this flower by its more common name, the Lungwort. They feature green basal leaves with beautiful pink and purple flowers that change to blue as time progresses. They are a durable species that starts blooming in the early spring, and can come in many sub-varieties with different colors that you can match to your interior space. Natives of the woodlands of Eastern Europe and Northwest Asia, the Brunnera, also called the bugloss, are bright blue and low maintenance, and can be used as a “shade plant” if you so choose. You can plant these in partial to full shade and still have them grow quite heartily. If you decide to plant them in full sun, remember that they will need more moisture to survive. Also called the Saxifraga, this genus of plants contains 440 species that typically have small but beautiful flowers with five petals that, while typically white, can also come in hues of red and yellow. These are great for newbies since they don’t have any special needs for growing, and they do well in spring so you can get them ready quickly for an apartment overhaul. The Bergenia genus contains ten species of flowering plants, often brightly colored and referred to by the nickname “pigsqueak,” on account of the sound it makes when two of its leaves are rubbed together. You’ll need a shady spot with occasional sunlight to grow these correctly, and should watch for those flowers to bloom in the early spring. Primula Vulgaris, or the Primrose, as it is more commonly known, is a flower native to Europe and North Africa. It is a perennial with pale yellow, white, and pink flowers, and does well in lightly shaded areas with plenty of well-drained soil. You can plant these and expect for blooms to continue throughout the summer, with a bountiful numbers of flowers to boot. They’re a perfect addition for anyone who feels they might have a reputation as a plant killer, and an easy way to throw some decorative interest on a table or countertop. You can check out a step-by-step guide from Love And Renovations to get started, or review Sunset’s video guide if you’re more of a visual learner. Either way, the basics boil down to selecting your succulents, finding (or building) a large planter to put them in, adding soil, planting your succulents, and then leaving them alone while they dazzle your guests. It’s that easy (remember, these plants thrive on neglect), and you’ll be glad you invested the time in adding some green to your space. It’s much easier when you’ve got an apartment space that’s a natural complement to the beauty of spring flowers. The inimitable interiors at places like The Vue are perfect for such floral enhancements, and add a degree of comfort you’ll not be able to replicate anywhere else.